at $20 + $10p&p and payments can be made via PayPal. dem sogenannten " OSCAR für Musik ", ausgezeichnet. eine Tour durch Großbritannien im Juni 2007. Es geht weiter, auch im Jahr 2015 ! die Niederlande waren Schauplatz der 50th Anniversary Konzerte. 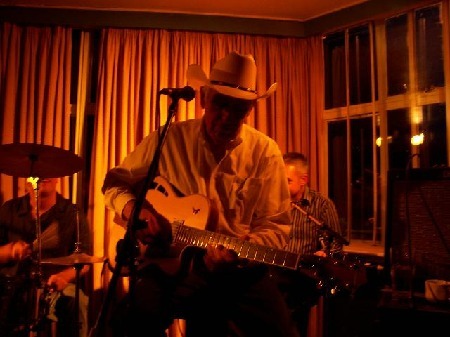 Rahel Vontobel from Switzerland, now living in Scotland, with Tommy Allsup in the Leith pub "The Village". Thanx to Rahel for some photos on this page. This photo by W. Lisowski shows Danny, Kevin and Tommy in "The Village" in Leith (Edinburgh). Rahel Vontobel war eine von denen, die das Konzert in Leith organisiert haben. Zusammen mit ihrem Freund Al hat sie mehrere Konzerte besucht. 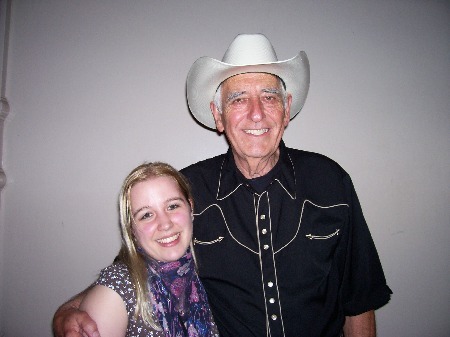 The long tall Texan and the "Swiss Maid"
Tommy Allsup in Glen Farg, Pertshire, during a gig in the "Famous Bein Inn". 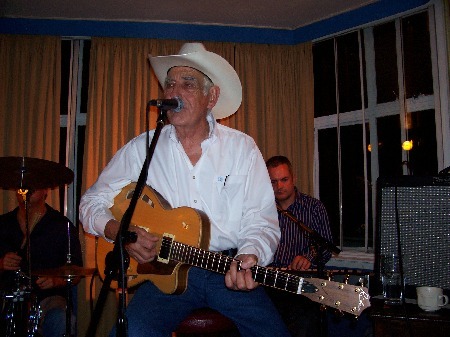 Tommy Allsup bei der letzten Station der Tour in Glen Farg, Pertshire, im "Famous Bein Inn". War so genial gewesen!! Tommy ist ein solch guter Gitarrist; mein Freund Al, der auch selber Gitarre spielt, war hingerissen von seiner Technik. Es war auch sehr interessant, aus erster Hand zu hören, was sich in den Tagen vor Buddy's Tod zugetragen hatte, und auch, was er von Leuten wie Maria Elena hält etc. Kann immer noch nicht glauben, dass ich Tommy kennengelernt habe!!! A true gentleman!! Kevin sang die Buddy Songs wunderschön, besonders 'Love's made a fool of you', 'Maybe Baby' and 'That'll be the day'!! Hoffentlich nimmt er sie einmal auf. Seine Stimme passt perfekt!! 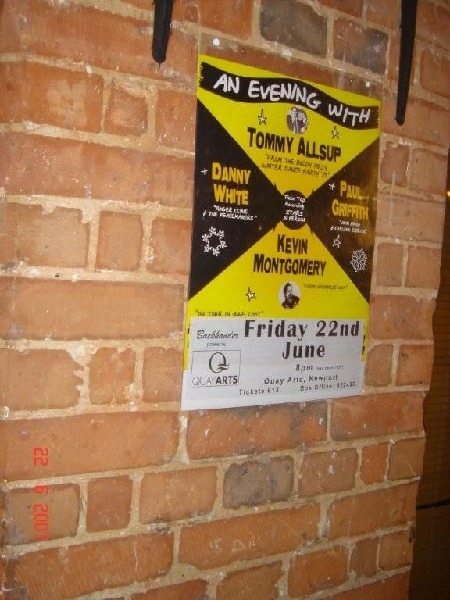 The official Tour Poster starring Tommy Allsup, Kevin Montgomery, Danny White and Paul Griffith. The following pics were taken by my friend Ian Higham on the 22nd of June on the Isle of Wight, where Paul McCartney wrote his famous song 'When I'm Sixty-Four'. In 2007, Paul, a real Buddy nut, was 65. Auf der Isle of Wight, der Insel, die der Stadt Southampton vorgelagert ist, schrieb Paul McCartney sein berühmtes Lied 'When I'm Sixty-Four'. 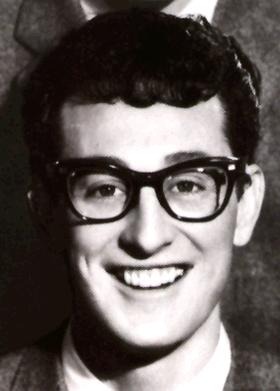 Nun ist der Buddy Holly - Edelfan im Jahr 2007 bereits 65 geworden. Die Zeit, sie eilt . . .
on stage, Isle of Wight, June 22nd, 2007. Kevin Montgomery, ein Künstler, der schon lange aus den Fußstapfen seines berühmten Vaters Bob Montgomery heraus ist. 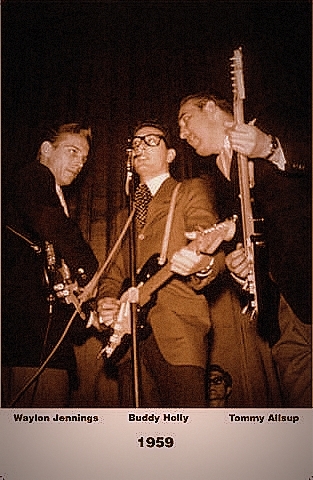 Bob war Buddy's Partner in der Band, bevor Buddy Holly berühmt wurde. 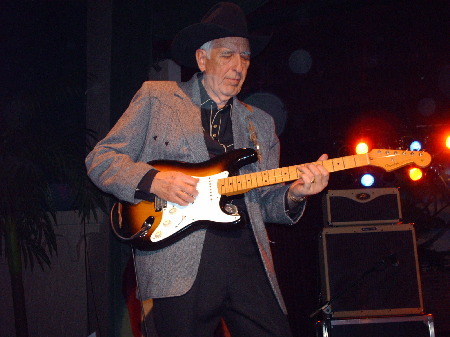 Tommy Allsup celebrates a song on stage at the Isle of Wight. Paul McCartney, one of the world's biggest Buddy Holly fans, mentioned in an interview, that Tommy is the best guitar player worldwide. Das ist echte Kunst, was Tommy auf der Gitarre vorträgt. Kein Geringerer als Sir Paul hat Tommy Allsup in einem Interview als den seiner Meinung nach besten Gitarristen der Welt bezeichnet. All Isle of Wight photos courtesy of Ian Higham. 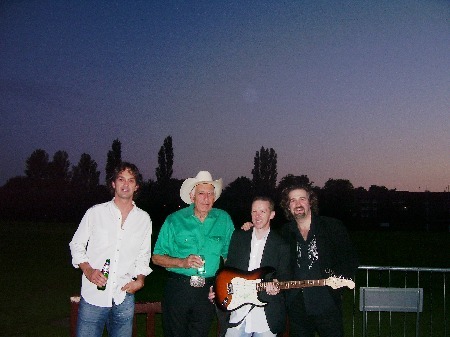 THREE TEXANS AND ONE SCOTSMAN IN GLASGOW on the 8th of June, 2007.
singing !...he's pretty good, sounds like Jerry Lee..
with the title " 22 "". Buddy died at the age of 22, this CD contains 22 songs. Keep on shining on (The Tribute Song), Everyday. Some songs with acoustic guitar are extremely good. deep down. Nearly 59 minutes of music, sung with passion. 3 Texaner und ein Schotte in Glasgow am 8. Juni 2007. 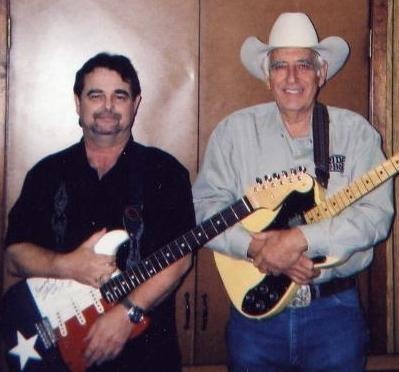 Tommy Allsup signierte dort die Fender Stratocaster von Pete Carroll, der 2006 den Buddy Holly Tribute Song "KEEP ON SHINING ON" rausbrachte. Pete Carroll, ein eingefleischter Buddy-Fan mit tollen Interpretationen von Buddy-Songs (mehr über ihn auf der Seite LINKS), nutzte die Gelegenheit, am 8.6.07 während einer Pause der Show, mit Tommy und den anderen zu sprechen und so nebenbei seine FENDER STRATOCASTER von Tommy Allsup signieren zu lassen. Aus den Büschen kamen sie plötzlich alle, die hartgesottenen Buddy-Fans, um ein Foto zu schiessen. 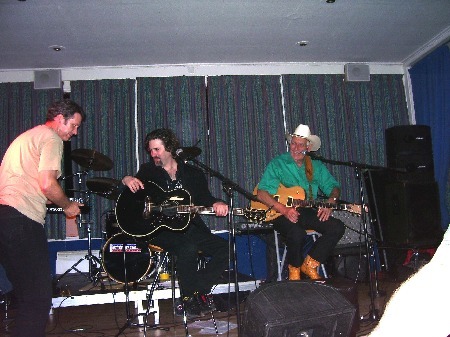 Tommy Allsup und Kevin Montgomery gemeinsam auf Tour durch Großbritannien. Hier auf der Bühne in Glasgow in Schottland, fotografiert von meinem Freund Pete Carroll, der weiter oben auf den Fotos zu sehen ist. 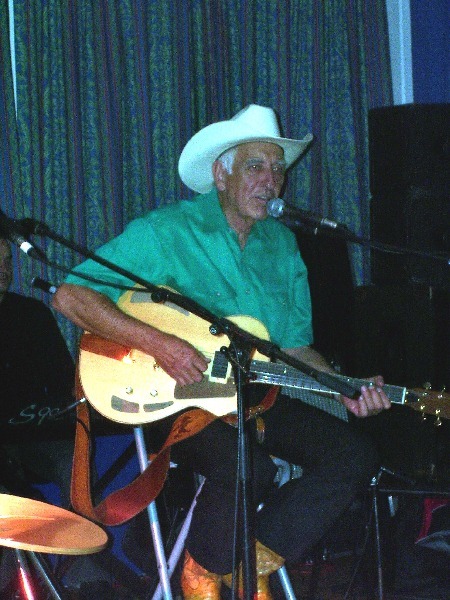 These photos from the Tommy Allsup / Kevin Montgomery Tour throughout the UK were taken by my good friend Peter Carroll, Scottish Buddy nut, singer and composer. 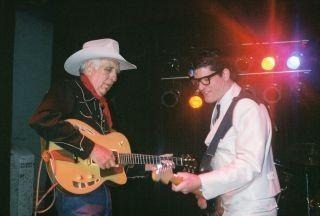 My friend Tommy Allsup is a living legend. All those, who attended the gig, can be called lucky people having seen a Grammy Award Winner and good buddy of Buddy live on stage. 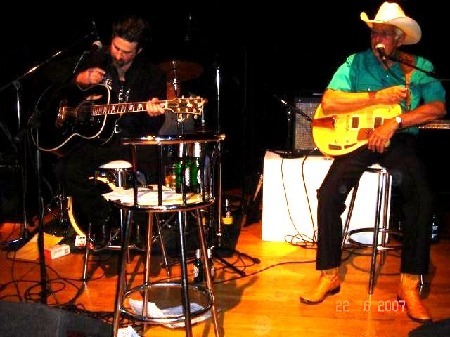 Grammy - Gewinner Tommy Allsup und Kevin Montgomery, Sohn von Buddy's Jugendfreund Bob Montgomery, gemeinsam auf der Bühne in Glasgow in Schottland. Dank an Pete Carroll ! 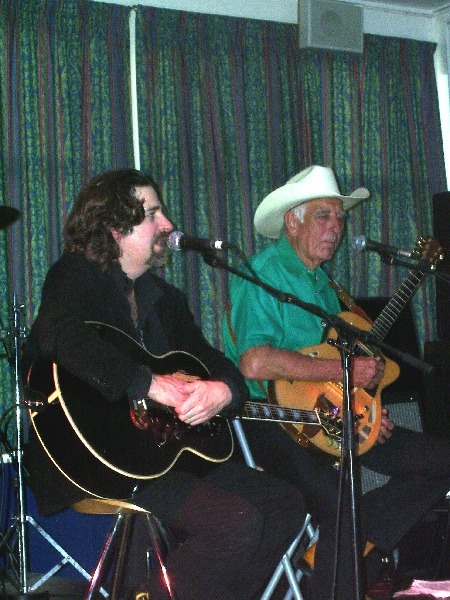 TOMMY ALLSUP and JOHNNY ROGERS on stage in 2006. TOMMY ZUSAMMEN MIT JOHNNY ROGERS AUF DER BÜHNE IM JAHR 2006. 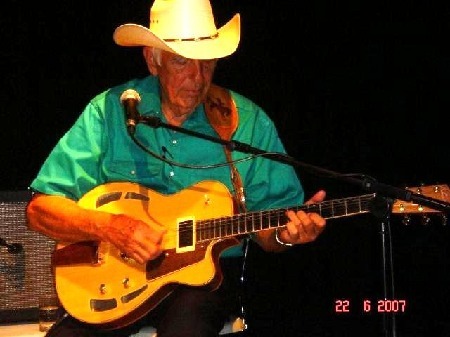 Tommy started his musical career in Claremore, Oklahoma in 1949 with the "Oklahoma Swingbillies." In 1950 he went to work with fiddle player Art Davis in Miami, Oklahoma; from there to the Cowboy Inn in Wichita, Kansas with singer, fiddle player Jimmy Hall. 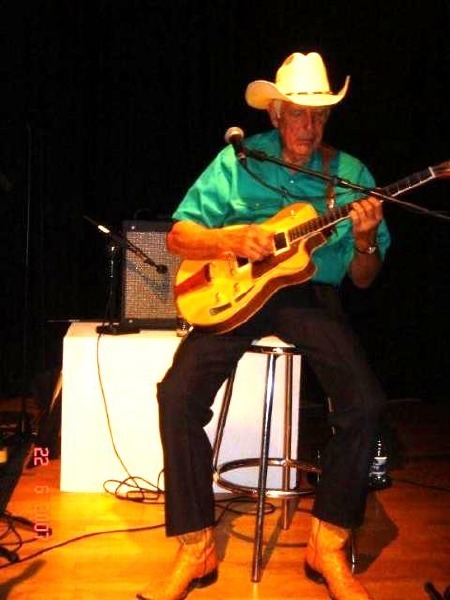 In 1952 and 1953, he moved back to Tulsa, Oklahoma to join the "Johnnie Lee Wills Band." 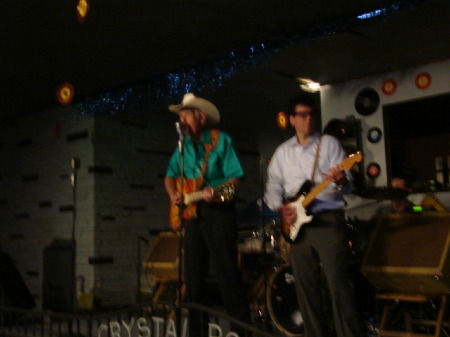 From 1953 to 1958, he had his own band, "The Southernaires" in Lawton, Oklahoma with homebase being the Southern Club. TOMMY LEBT DEN WESTERN SWING MIT DIESER GROSSEN BAND. In 1958, Tommy's career would take a different direction. 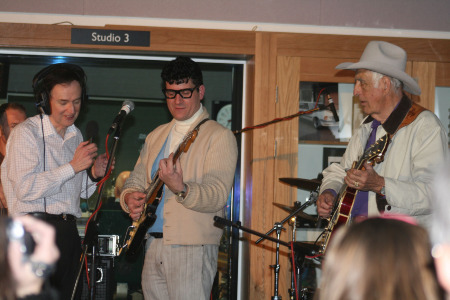 famous studio, he met the late Buddy Holly. IN NORMAN PETTY'S STUDIO TRAFEN SICH BUDDY UND TOMMY ERSTMALS. 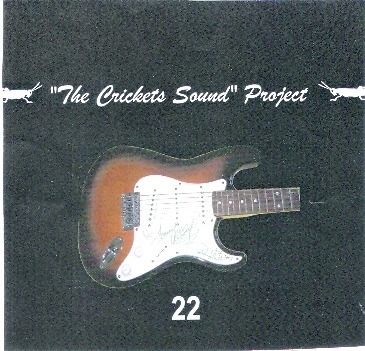 In April, he started playing lead guitar with Holly and the Crickets. 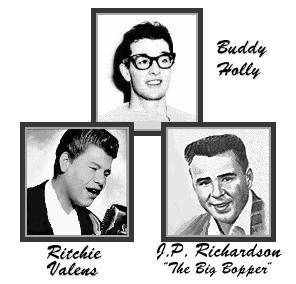 WAYLON JENNINGS, BUDDY HOLLY UND TOMMY ALLSUP BEI DER WDP 1959.
took Buddy's life, along with the Big Bopper, and Ritchie Valens. 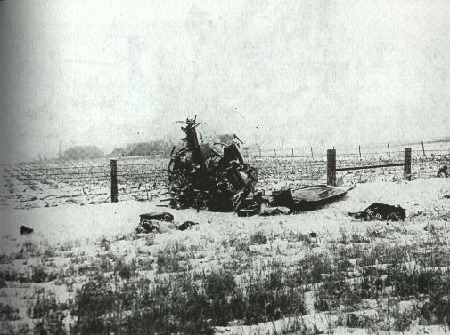 for a seat on the ill-fated plane. DIESE ART VON MUSIK IST BEI TOMMY DIE NUMMER EINS. 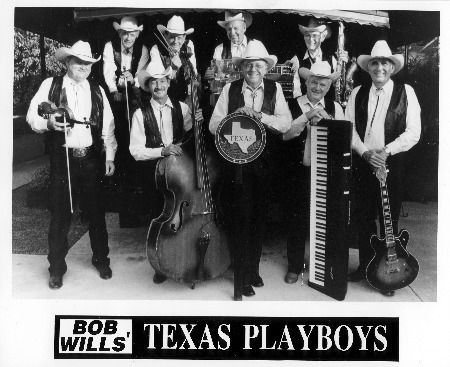 great Bob Wills and the Texas Playboys. 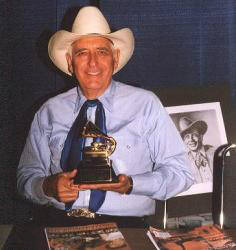 His association with Wills lasted through Wills' "For The Last Time" LP, recorded on December 2-3, 1973, in Dallas, Texas, where Bob Wills recorded his first records in 1935. 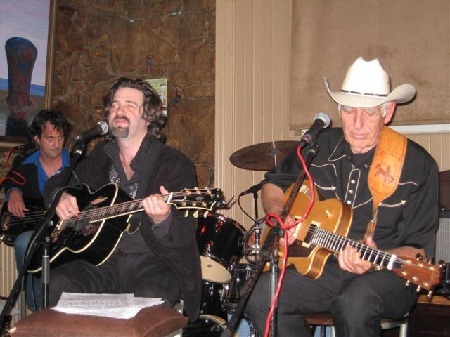 Allsup used some of the original Texas Playboys on the last recording (McAulliff, Shamblin, Dacus, Strickland). 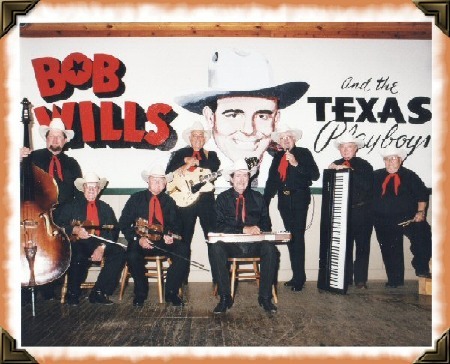 Bob Wills directed the sessions from his wheel chair. 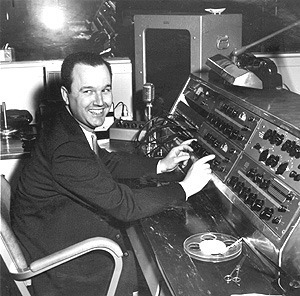 While at Liberty, Tommy would produce Tex Williams, Willie Nelson, Joe Carson, Warren Smith, Billy Mize, and Cliff Crofford. While there, he worked with great artists such as Walter Brennan, Bobby Vee, Johnny Burnette, Julie London, and Vickie Carr, who sang harmony with Bob Wills on the LP "Bob Wills Sings and Plays." 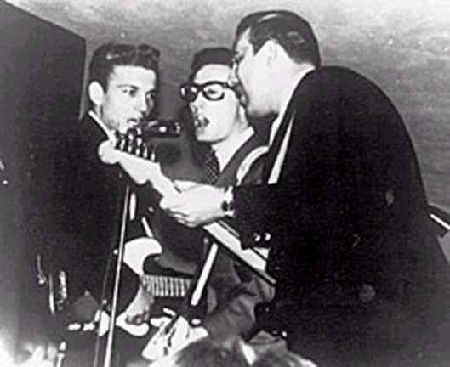 After leaving California, Allsup moved to Nashville to head up Metromedia Records in 1968. 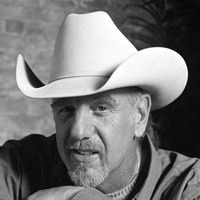 RAY BENSON, FRONTMANN VON "ASLEEP AT THE WHEEL", 9 GRAMMYS. 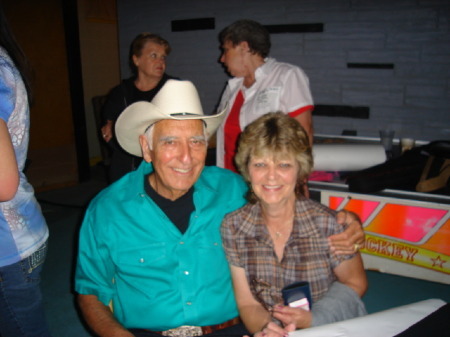 Tommy Allsup has been a big supporter of Western Swing music over the years. 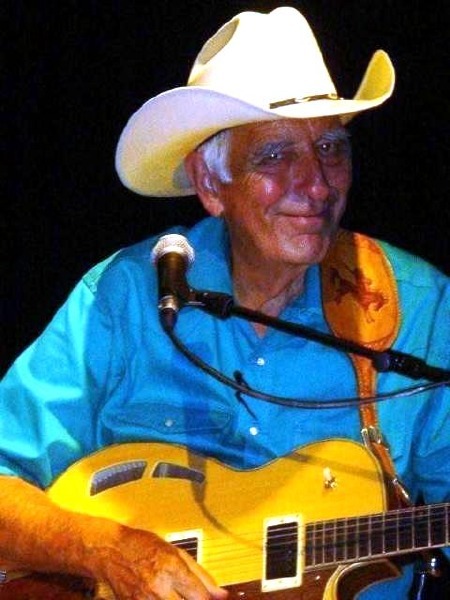 He has produced 5 LPs with the great Hank Thompson and his Brazos Valley Boys, 2 LPs with the Original Texas Playboys, and 2 LPs with the great Western Swing vocalist Leon Rausch. 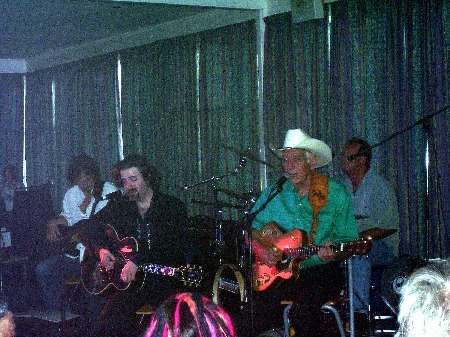 Tommy has produced Swing LPs with Jody Nix, Curley Chalker, Mack Sanders, Johnny Bush, Willie Nelson, Tex Williams, and Billy Mize. 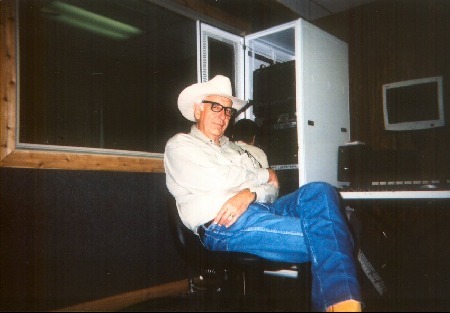 TOMMY WEARING BUDDY GLASSES IN HIS STUDIO IN AZLE DURING THE RECORDING SESSIONS OF "FOR THE LOVE OF BUDDY" WITH TEXAS MIKE BELL. "FOR THE LOVE OF BUDDY" TRUG TOMMY DIESE BUDDY-BRILLE. 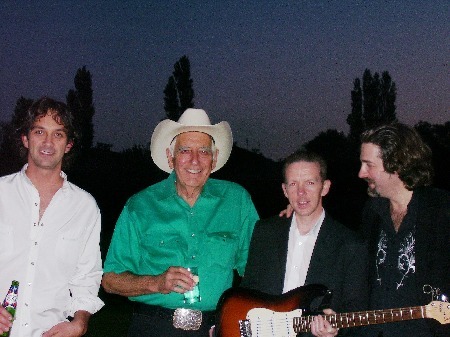 Hier die Visitenkarte von Tommy Allsup in Bezug auf sein damaliges Studio in Azle in Texas. Habe ich als Original in meiner Sammlung. 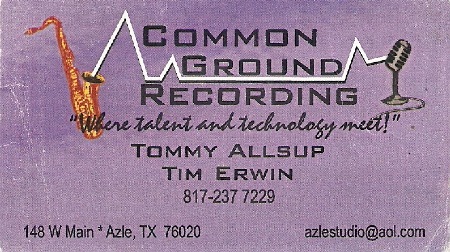 Tommy Allsup's former recording studio in Azle Texas, USA. Tommy Allsup's Lesebrille aus jener Zeit, die ich im Original besitze, leider fehlt ein Bügel. used in his recording studio in Azle TX at that time. 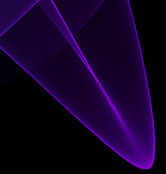 One of my real gems. 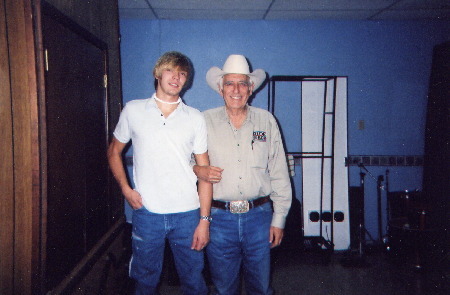 TOMMY AND HIS SON AUSTIN, A VERY TALENTED SINGER. TOMMY UND SEIN SOHN AUSTIN, EIN SEHR TALENTIERTER SÄNGER. HIER HAT ER EIN ANDERES "OPFER". Tommy remains active in the music business. 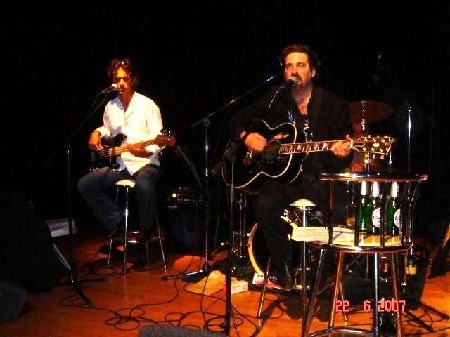 He has played guitar or bass on over 6500 recording sessions. 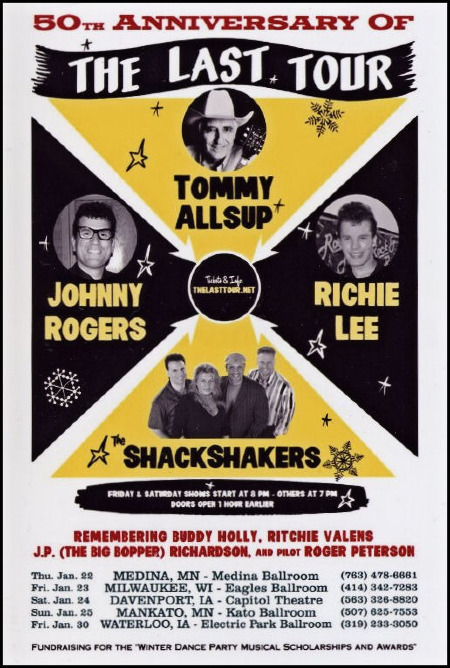 All of this is good enough for Tommy Allsup, who has few regrets. "I never really wanted to be a big star, I figured I'd leave that to someone else." AUSTIN DEBUTIERTE AUF DER CD "FOR THE LOVE OF BUDDY". SEIN ERSTES EIGENES ALBUM "ETERNITY" WAR GENIAL. 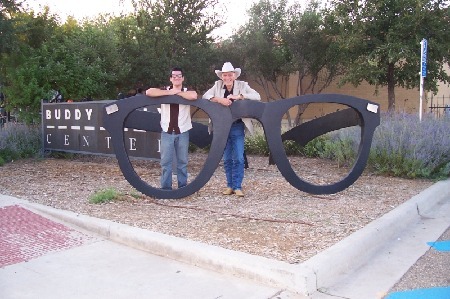 TOMMY WITH JOHNNY ROGERS IN FRONT OF THE BUDDY HOLLY CENTER IN LUBBOCK DURING THE CELEBRATIONS OF BUDDY'S 70TH BIRTHDAY. TEXAS WÄHREND DER FEIERN ZU EHREN VON BUDDY'S 70. GEBURTSTAG.